FULL LINE OF BAGS - HATS - UMBRELLAS ETC. WARM UP SUITS - JACKETS - SWEAT SHIRTS ETC. 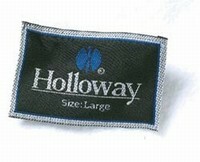 General garments..From tee to dress shirts to jackets,hats & towels. Everthing from aprons to jackets. JACKETS - PULLOVERS - FIREMANS WORK SHIRTS . JACKETS - WARMUP SUITS - SWEATS - GOLF SHIRTS.